Maybe this great software ! Very cool giveaway and count me in please ? As a homeschool dad I am always on the lookout for bargains. I find Acronis True Image to be an excellent tool for our family. We use a computer based curriculum and making regular backups is an important task that I do not take lightly.We could definitely use this updated version. Count me in o this contest (if you please). one of the best software to backup your system. I need this software… I really need this. Thanks for the contest. hope I am lucky to win. True image is a great program that has helped keep importamt information secure for years. After many years using Norton Ghost, i´d like to give this one a shot. Thanks App Found, Acronis True Image is a great software and I like to win it. The best program to administer and manage the operating system. With image, backup, cloning and data transfer. Practical, easy and fast. Test version used in 2013. TWITTER.COM reported LINK WITH FAULTS. As specified in the subsrciption page, I am “already subscribed to the mailing list of AppFound Newsletter”. a great software.thanks for the giveaway. Taki program to skarb w każdym systemie…wiem coś o tym bo nie raz uratował mnie przed ponowną instalacją . Pozdrawiam organizatorów i producenta. best software program in its kind! An excellent program ! Please count me in. This is my comment, thank you. Gül bir program. Umarım bana çıkarım. Sahasında tek geçilebilecek Güzel bir program. Umarım bana çıkar. excellent program to make copies of our system, and more. Create an image of a new PC’ s hard drive immediately after setting it up can save a lot of time later if have problems. Just restore the image and your computing life is good again. Thank you for Acronis True Image 2014 Premium. Thank you thisgiveaway.. Count me in..
After many years using another software, i would like to give True Image an oportunitty. The link to me sharing this on Facebook so I can win the lifetime license! I have submitted my subscription. Great software! Count me in! True Image from Acronis is the better backup system of ever, please count me in. thanks for the chance to win this great software! Thank you for the chance to win this superb software! I hope this time I can win! Great software and great contest! I’m an True Image fan, it’s the best backup software. I have an old version and I like upgrade it. Thank you so much AppFound! This would be a nice product to have. Would love to win this great software! I’m a long time user of Acronis since version 8, although I’m a bit behind in terms of version. Thank you for this opportunity. Done! Thanks for the apportunity! I use ATI 2013. A great program. Today, a great contest. great! count me in please! thanks! My system restore from Microsoft can not be counted on to work always. Acronis True Image 2014 is rated across the internet as “the best” system restore option software. My favorite program for backup. Plz count me in, Thanks. TrueImage is a very good software. Thanks for the giveaway. thanks! count me in! great program! nice one! thanks and count me in! Followed Appfound on twitter. But couldn’t tweet your web link as twitter didn’t allow me. I really hope I win. I once used this soft & I loved it. Great! thanks! count me in! Great offer! Count me in please! Great software, please put my name in the contest. great software.thanks for the giveaway. Thanks for tha givaway. Count me in pls. Thank you Appfound, please count me in. thanks and count me in! great giveaway! Thanks for this giveaway, I would love to try my luck. Please count me in. Thanks ! Thanks for the nice program. Sign me up please!! Please Appfound count me in this superfantastic giveaway. Thanks so much! Please count me in. Thank you for giveaway. That will be nice to have. 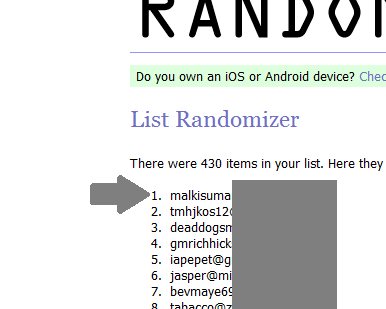 Thank you for the giveaway, please count me in. Nothing beats ATI in the world of backup. Count me in. Thank you. wow! great offer! count me in! Wow…. Can’t believe this is for real. Thank you for this amazing giveaway contest. The best system restore option to replace Microsoft windows 7 faulty system restore process. nice program! thanks! count me in! nice on! count me in. thanks! count me in for this giveaway! hope to win! count me in! Super offer! thanks and count me in. Thanks for the giveaway. Good software. Thanks for the contest. Count me in. Count me in man. This is one of the best backup software. If I win this, I’d never have to worry about backups, ever again. Thank you for the giveaway. Great piece of software, thanks for the chance to win it! Thank you very much for a great giveaway! Great contest for a great software. thanks for this great offer! count me in! Please count me in. This is an extraordinary product. We are a homeschool family on a limited budget. I enjoy using Acronis products and we could definitely use Acronis True Image Premium (lifetime license) especially if we could get it free. So please consider this reply to be expressing a great desire to win this contest. thanks for this great offer! nice program! count me in! thanks a very good giveaway! thanks! Acronis is the best! count me in! Thank you App Found. True Image is a really reliable system bkp software. I like to upgrade from my very old 10pe release. Great prize. Been happy with their previous versions so would be good to upgrade to latest version. Thanks for the giveaway, backup and recovery is something I am sorely missing! Great giveaway, thank you for this offer. Count me in! Please count me in on this! Thanks. please count me in your great contest. Great job, thanks Appfound for all your nice giveaways. Please count me in True Image contest. The best backup solution for windows 8. Thanks you for this great giveaway! isn`t it 100% free ? thanks. great program! nice offer! Great Program = Great Giveaway ! thanks a lot appfound! great! 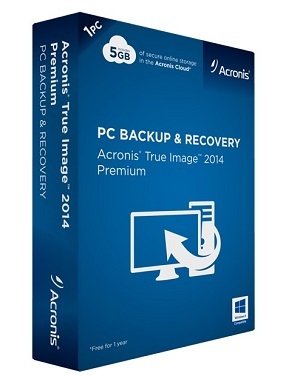 Please count me in the drawing for the Acronis True Image 2014 Premium Edition (Lifetime license)”. Thanks for the opportunity to be able to enter such a quality giveaway. thanks! count me in! hope to win this time! count me in for this contest! thanks for this offer appfound! count me in. very good program! This is good software please count me in. great contest! count me in! good luck to all! wow! great offer! super program! thanks! count me in! i want this program! thank you! count me please! thanks for this great giveaway and count me in! nice offer! thanks! count me in! Please count me in your choice. thanks! nice offer. very good program! thanks. just count me in! thanks a lot! nice giveaway! thanks appfound! count me in please! thanks and count me in!! thanks for this offer! nice program!